Clever Bulletin: Katrina getting too big for her boots? Katrina getting too big for her boots? Buzz about some of our top stars getting a little too demanding doesn't always come as a surprise. However, a few otherwise amiable actors too are following in the footsteps of their seniors. And it's Katrina Kaif's name that is currently doing the rounds. Apparently, Kat has rubbed not just one but three Bollywood folk the wrong way. According to the industry grapevine, apparently Katrina recently got ace cinematographer Ravi K Chandran replaced in a commercial. Chandran recently tweeted about his ousting by a certain actress from the industry, which was followed by sympathising tweets from his followers, including Sonam Kapoor. 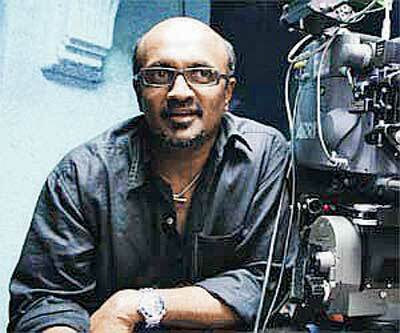 "One actress felt I am not a good DoP to shoot her commercial. So I m out of it .I don't have the knowledge like her in cinematography I guess," tweeted Ravi. Buzz is that Katrina insisted on having good friend Ayananka Bose shoot the ad. Apparently, the actress' reasoning was that Bose shot her best from all angles. However, the ace cinematographer chose to maintain a dignified silence when we contacted him. He said, "Nothing like that happened. It's a wrong story." When probed about the messages on his Twitter page, Chandran didn't respond. Buzz was that Karan Johar didn't take it lightly when Katrina kept director Ayaan Mukerji waiting before finally saying no to his production Yeh Jawani Hai Deewani opposite Ranbir Kapoor. An industry source points out, "That's when Ayaan and Karan cast Deepika Padukone in the movie. Karan wasn't too pleased. So to appease him, she instantly agreed to do the Chikni Chameli item song in Agneepath." To further make things right with KJo, Katrina rejected Prakash Jha's Chakravyuh in favour of Karan's Dostana 2. The actress apparently wanted to keep her onscreen pairing with Abhishek Bachchan exclusive. Our source adds, "Also, she was upset with reports of Prakashji praising Deepika's dubbing for Aarakshan. That's what prompted stories about how she had also dubbed very well for Raajneeti, especially her long speeches, besides working hard to give her best performance for the political drama." Talking about her alleged refusal to do Jha's next, Katrina says, "I've not yet been offered the film. So the question of refusing it for any reason doesn't arise." About ousting Chandran, the actress who is currently shooting in Cuba for Ek Tha Tiger,/i> clarifies, "Recently I shot another ad with Raviji. I've never interfered in the setting of a team and never will. As a professional, I go to the sets, shoot the commercials and leave after pack-up." About rejecting Yeh Jawani Hai Deewani and then doing her Chikni Chameli act to appease KJo, the actress says, "I don't know why it's being brought up again now. There are no problems between me and Ayaan or Karan."